Home / Puppy Size / How big will my puppy get? One of the biggest questions for anyone looking to get a new dog is "how big will my puppy get?" Of course, it's important to ask this question before you purchase the puppy, or you might be in for a nasty surprise in a year's time! It goes without saying that some households are more suited to smaller dogs, while others can handle the bigger breeds. This is obviously a very important factor in deciding which breed will be most suitable for your household and lifestyle. You're going to share your life with your new companion for perhaps 15 to 20 years, so you need to be sure that you can cope with the size your dog will grow to, both in the next few years and later in life. The size of your dog will also have an effect on the cost of upkeep - a larger dog will eat more, and will cost more for medications, as most doses are determined by weight. And the size will also be a factor if you have small children. Households with children under about 9 years old are not usually suitable for small breed puppies, as puppies are too easily hurt by rough play or by being dropped as they wriggle out of a Childs' arms. Conversely, a large dog may be too boisterous for small children and can easily knock them over in an enthusiastic welcome. Another consideration is the size of the dog that your house and yard can accommodate, as well as how much exercise it is going to need. Larger dogs need significantly more exercise, and just letting them run on their own is not sufficient - you're going to be there and get the exercise as well! What size are the parents? This is probably the best guide, although we have had dogs that grew much larger than either of their parents and all of their littermates. What does the breed standard say? Purebred dogs all have guides to their ideal weight and height described in their written breed standard. Of course, that's not to say they will attain that ideal, but they ought to be close to it, particularly if their parents are representative of the breed. You can also look at the factors for a mixed breed puppy as they will apply to purebreds as well. With a mixed breed dog, it is a bit more difficult than with a purebred. If you can see the parents then their size is a good indication, but there is obviously no breed standard for them. You can look at the size of the puppy's paws - if they are very large, then he is likely to grow to be a big dog. Similarly, very loose skin can be an indication that he has a lot of growing to do to fill it. 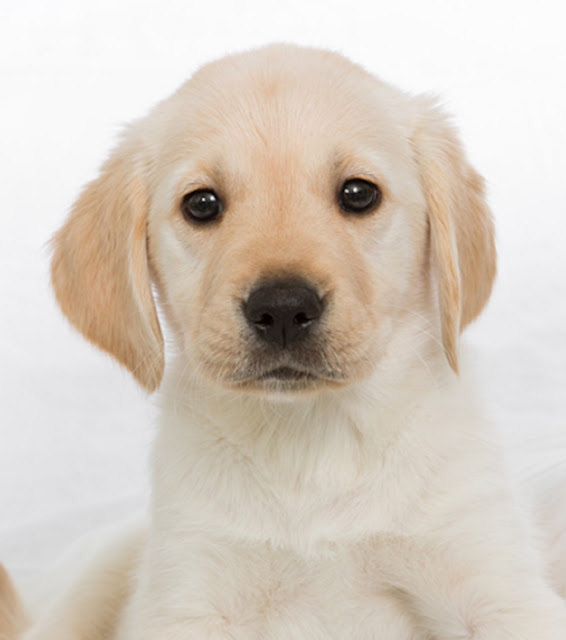 If the puppy is only 10 to 14 weeks old, that is about as much as you are going to be able to see as clues to his eventual size. If he is older, then you can make an estimation based on his rate of growth since birth. Puppies do most of their growing in the first 6 months of life. After that, their growth rate slows down until they are about a year old, by which time they have done most of their growing. As a very rough rule of thumb, puppies attain approximately one-third of their final weight by the time they are three months old. By six months they are usually around two-thirds of their finished weight.